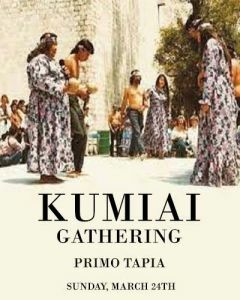 I'd like to invite you to the Kumiai cultural event in Primo Tapia park on March 24. From 12: to 5 pm. There will be handcrafted Art, food, singing, and dancing. 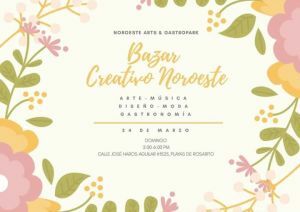 🌸 BAZAR CREATIVE NORTHWEST 🌸 The Northwest Family is pleased to invite you to our next creative bazaar which will take place in our facilities on Sunday, March 24 in commemoration of the arrival of Spring ✨ Music, gastronomy, fashion, design, pastry, art, and more 🌵 FREE ENTRY 🎫 We will wait for you!